VusionVR is an end-to-end virtual reality production house and Canadian leader in producing, capturing, and delivering 360° video and immersive virtual reality experiences. Our virtual reality production process delivers beautiful, unforgettable virtual reality experiences that help brands forge new and deeper connections with their audiences. As a full service virtual reality agency, our team manages all facets of VR video production, from scripting and storytelling, to shooting and camera operation, to video editing, to building VR video players and apps. We also provide the headsets through which your customers can view your new 360° content. We help companies, brands and their ad agencies create VR experiences that assist to drive sales. Our processes deliver the full end-to-end potential of 360º video and virtual reality. Effectively telling a story in virtual reality requires its own set of rules and an experienced, dedicated VR video production team. In VR, there is no “fourth wall” to break, and little opportunity for camera operators to engage in selective framing; traditional narrative construction and scripting can be thrown out the window. Through extensive experience, VusionVR has developed a virtual reality production process that accounts for VR’s unique challenges. We understand how to guide audiences through a story with simple, clear storytelling; expert camera operation; and leading editing capabilities. Our team puts itself in the target audience’s shoes to ensure that our productions are immersive, easy to follow, and fun. Virtual reality has been proven to provoke highly empathetic feelings in viewers. Through virtual reality experiences created by a capable VR marketing agency, companies can provide their audience with context for their brand and foster a specific emotional interaction with their products. VusionVR has shot 360° video for a variety of companies in Ontario, and one thing has remained constant: the Nokia OZO virtual reality camera. OZO is the world’s first professional-grade VR camera capable of capturing 360° spherical video and 360×360 sounds. The camera was officially announced in July 2015, and since then it has become and industry-leading choice for VR marketing agencies and companies like Disney, Elemental, and JauntVR as they pursue their virtual reality ambitions. Because we take VR video production seriously, Vusion chose the OZO for its top-of-the-line video and sound quality, the elegant workflow its software provides, and its ease of use, including single-file video and audio data storage and one-cable output. We have been fortunate to shoot with OZO in locations around southern Ontario. With OZO, we have been able to create crisp, compelling 360° video that has helped brands to tell their story in an exciting, forward-thinking fashion. Just as shooting for 360° requires a unique thought process, so too does editing the captured footage. High-quality 360° editing is a vital aspect of our VR video production process. We employ editors who understand the complexities of working in this unique medium. From cropping our camera out of the shot, to colour correcting based on lighting in different spaces of a room, our team produces cinematic-quality content that will leave your audience in awe. Once their virtual reality or 360° video has been shot and edited, companies face another challenge: where and how to play their new content. VusionVR delivers cross-device compatible, branded VR platforms for web playback. 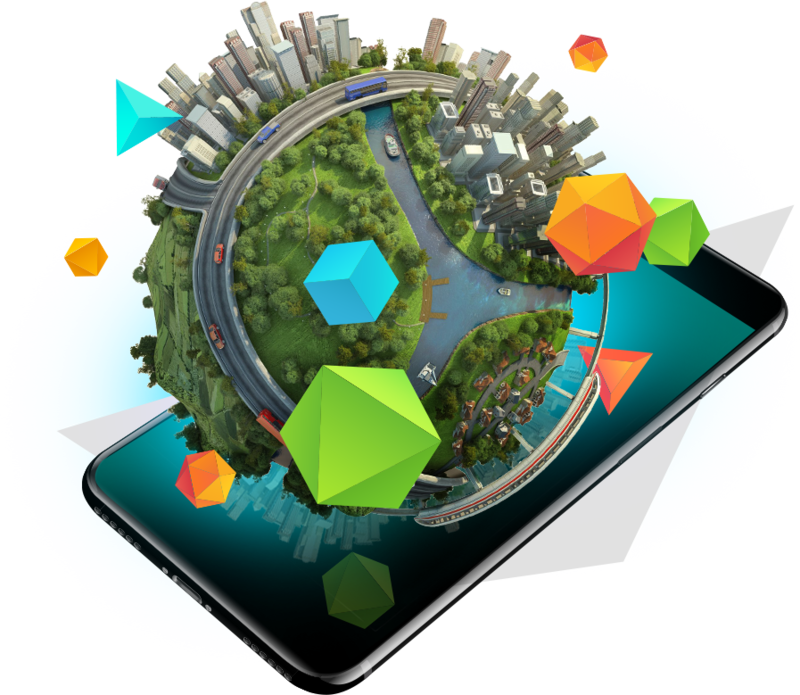 Our player is specifically designed to adapt and adjust to desktops, tablets, smartphones, and virtual reality devices, and is a critical element in our virtual reality production schedule. Our projects are hosted on a dedicated server in Toronto, Ontario. Video, image, and audio assets are delivered via a Tier-1 content delivery network, ensuring consistently fast access for your worldwide audience. Our team of talented developers can also build custom apps for purchase in Apple’s App Store or the Google Play store. Thanks to the Nokia OZO, our VR marketing agency is uniquely positioned to produce live-streaming 360° video, ideal for capturing live music, theatre and sporting events. As virtual reality inches towards mainstream acceptance, the technology is being embraced by early adopters in the entertainment industry. Several forward-looking musical acts have produced 360° music videos, a great way to earn attention and provide intimate access for their fans. Major sports franchises in the NHL, NBA, MLB, and NFL have also adopted VR technology, both for training purposes and for broadcasting. The NBA, for example, has committed to stream one game per week in VR during the upcoming season. Virtual reality and 360° broadcasting is the next step in the evolution of live television, as well as a unique opportunity for virtual reality production houses to offer enhanced marketing services.